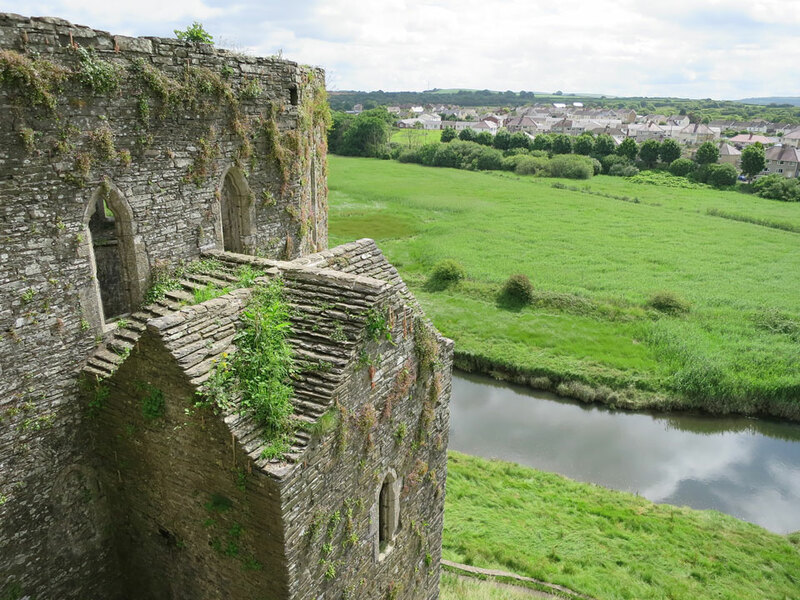 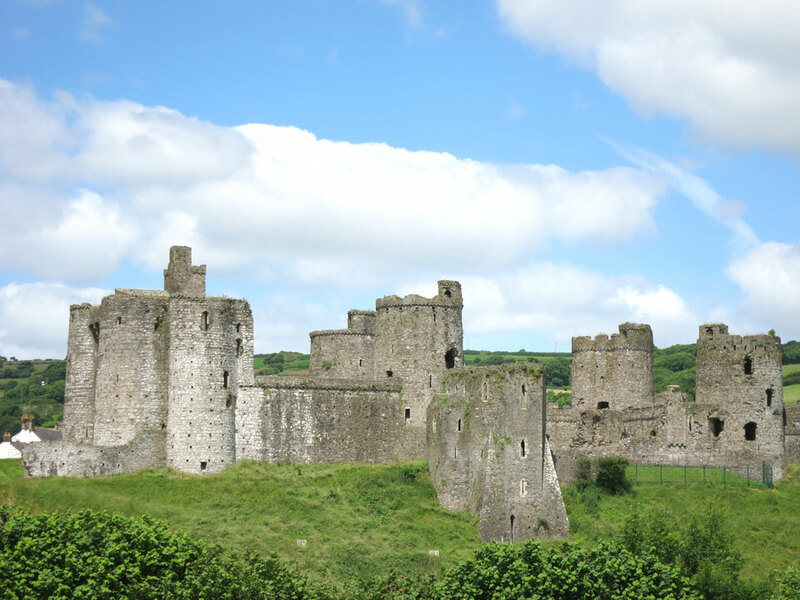 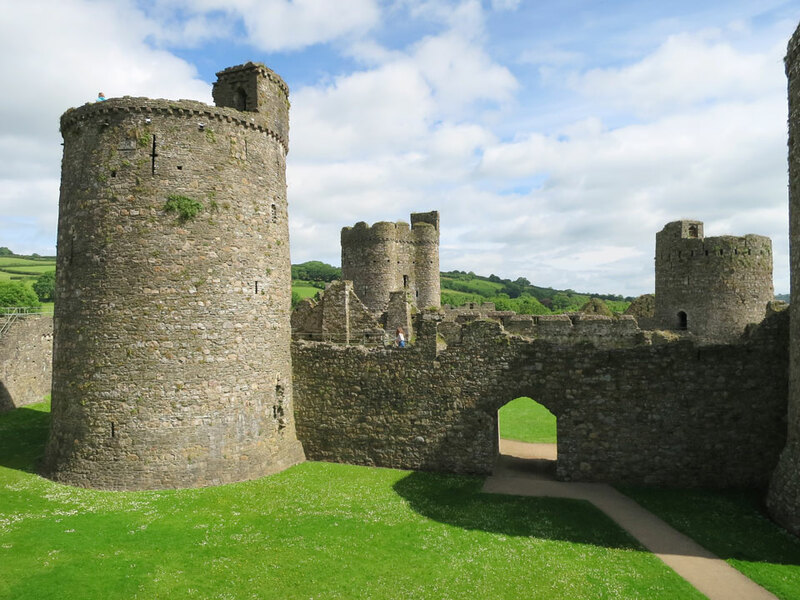 The first wooden castle was started in 1106 on a site overlooking the tidal river and wwas captured a number of times by the Welsh in the 12th and 13th centuries. 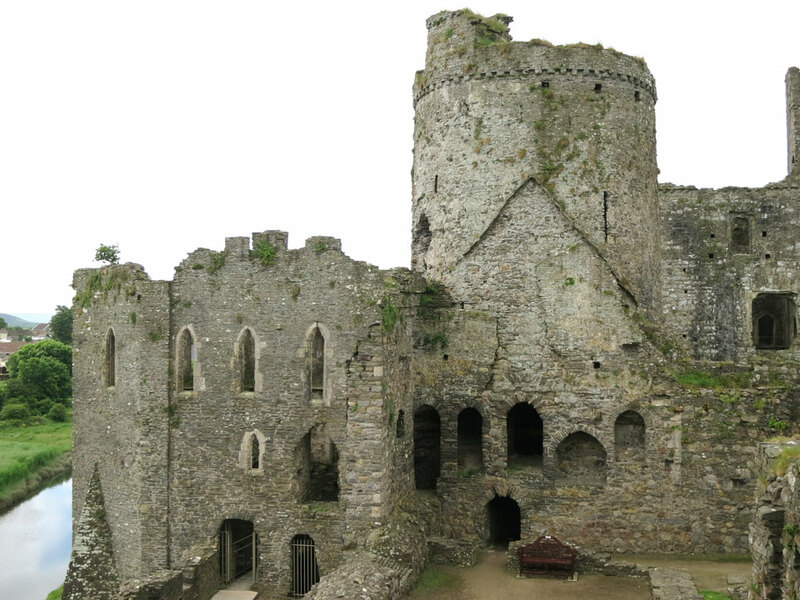 It was completely rebuilt at the end of the 13th century when the Inner Ward was constructed with a tall tower at each corner. 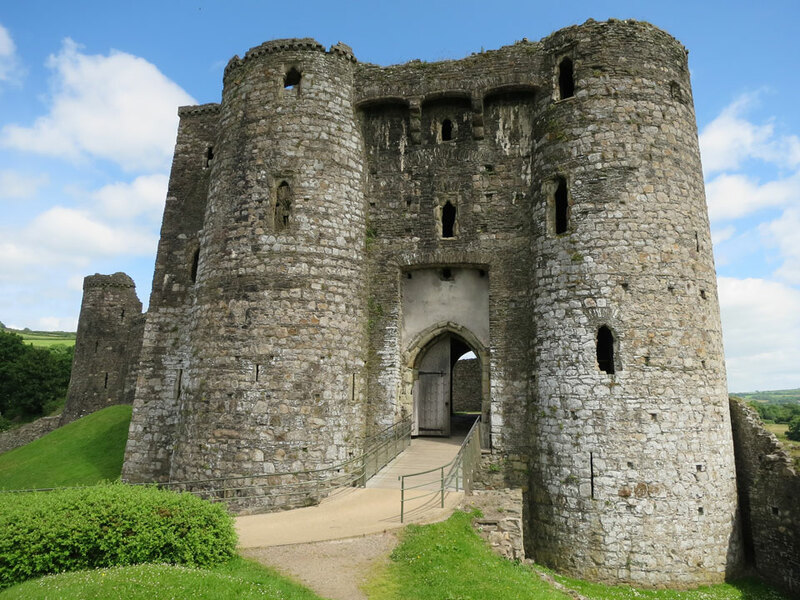 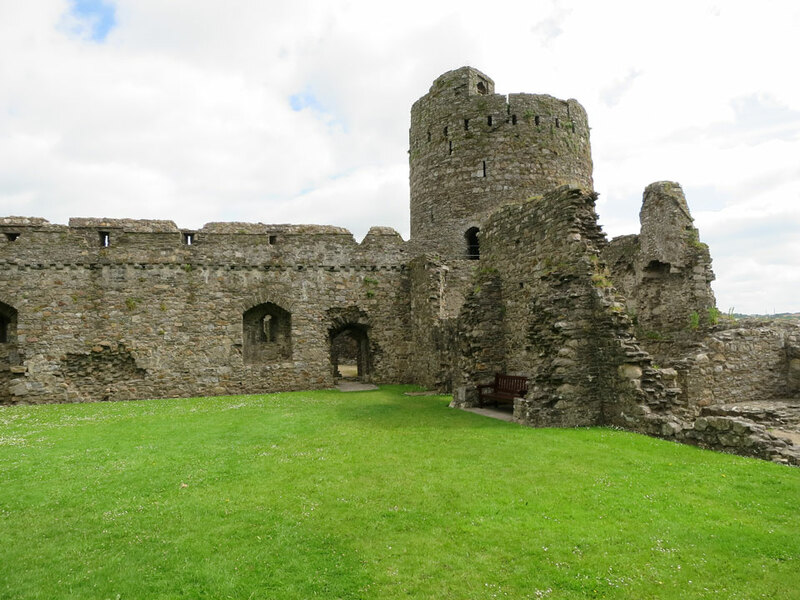 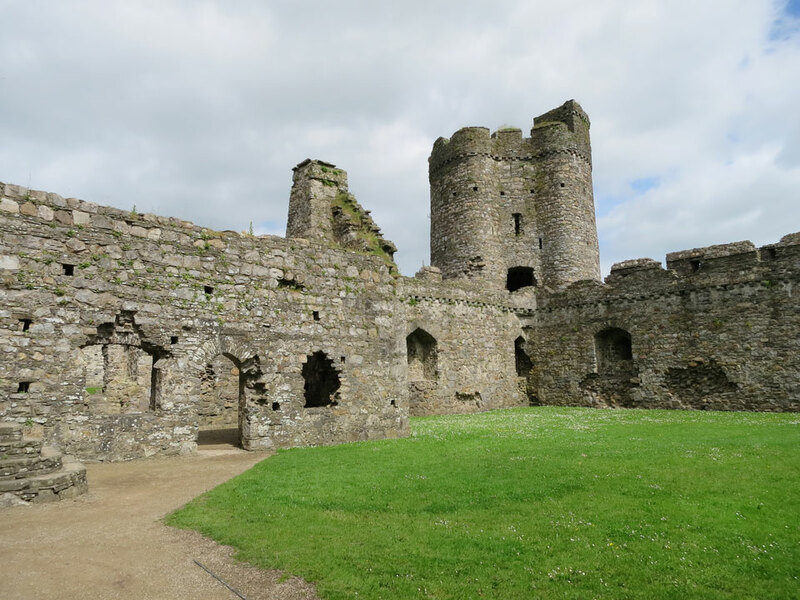 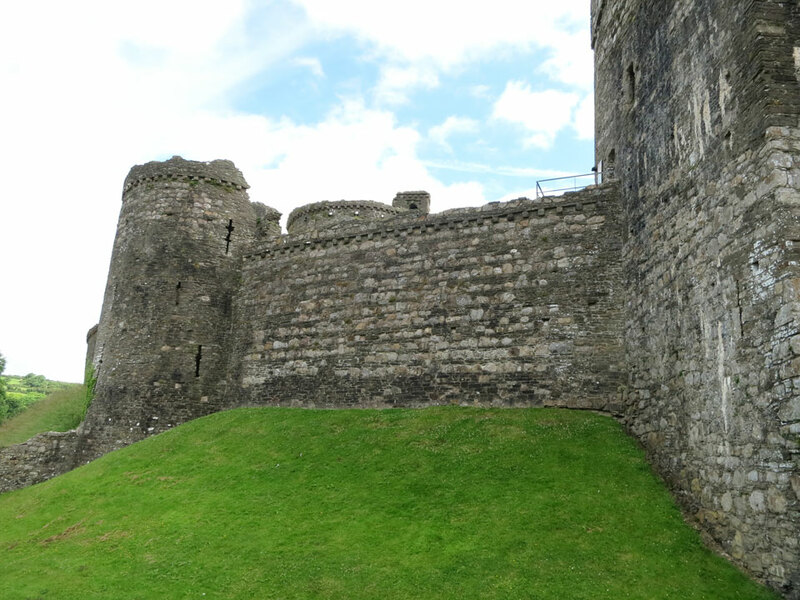 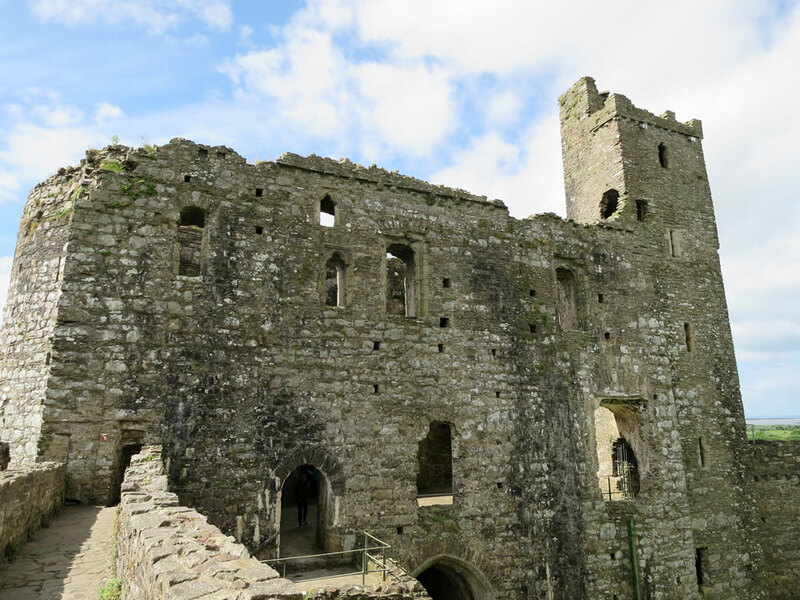 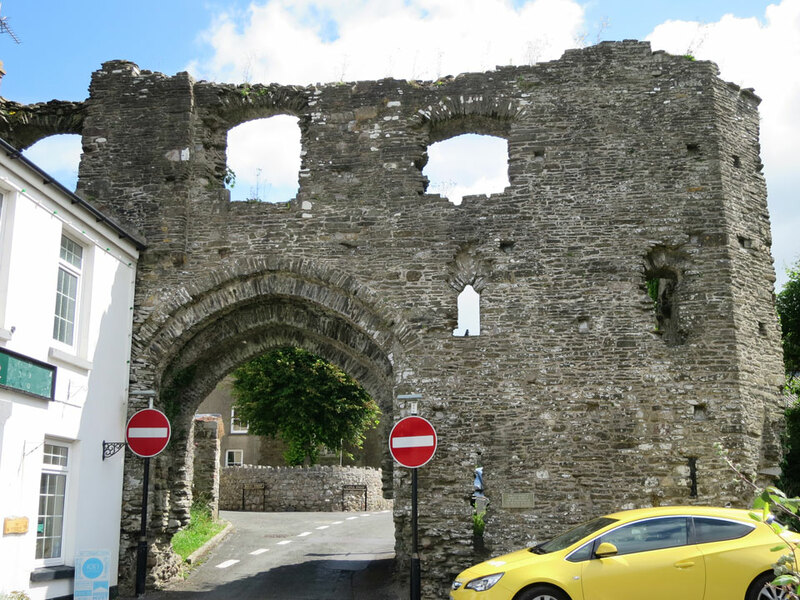 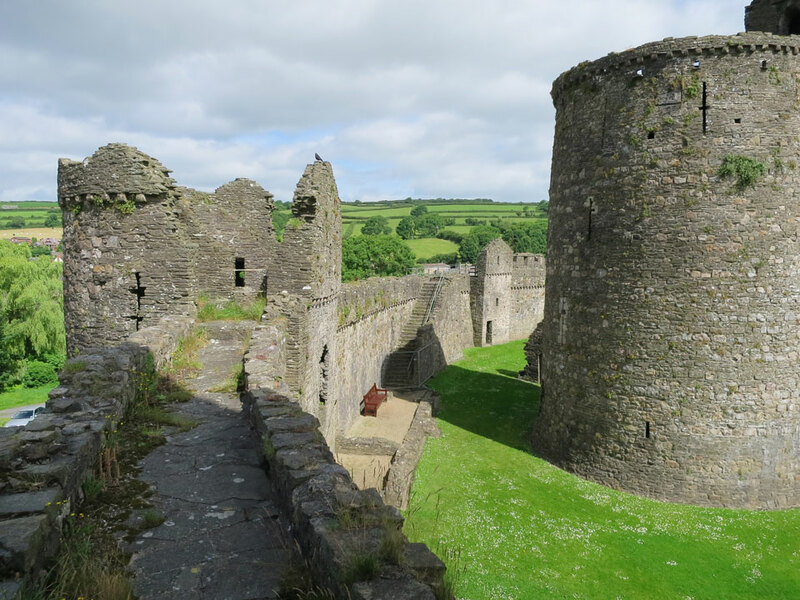 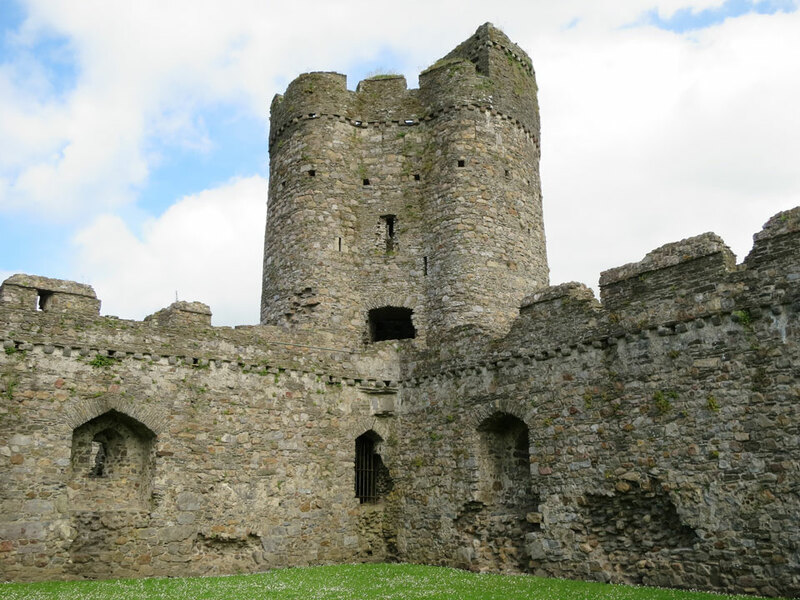 Then at the beginning of the 14th century the outer curtain wall and the two gatehouses were added, making an early example of a concentic castle design. 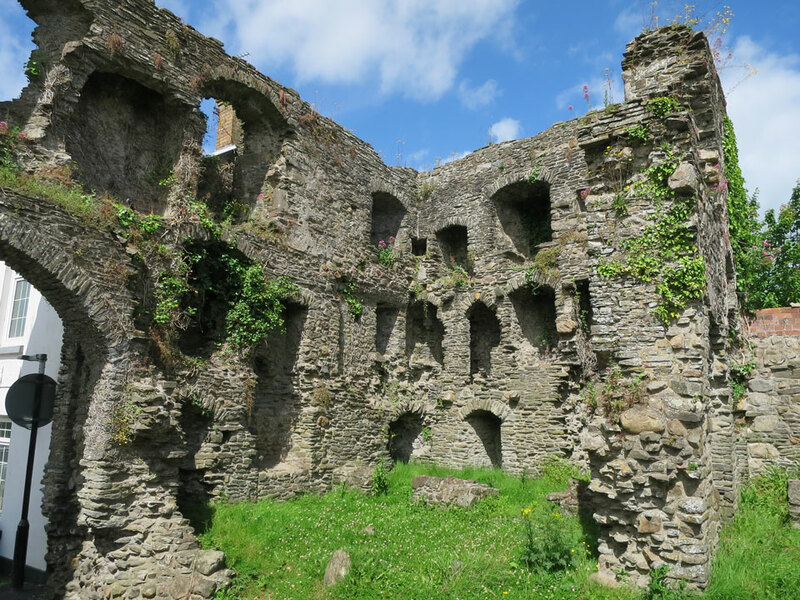 It was in a state of ruin by the time of the Civil War, it has now been extensively restored. 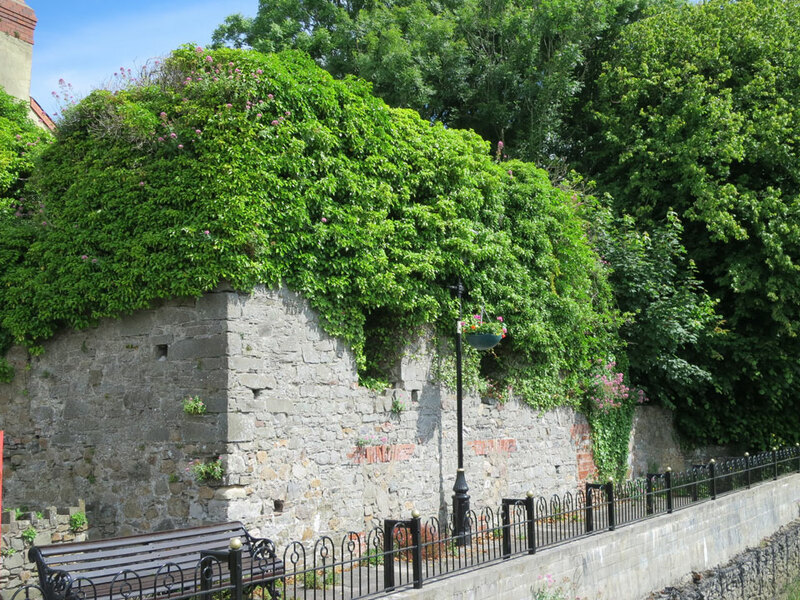 At the beginning of the 14th century the town was also defended by earthworks and a stone wall around the southern end of the town. 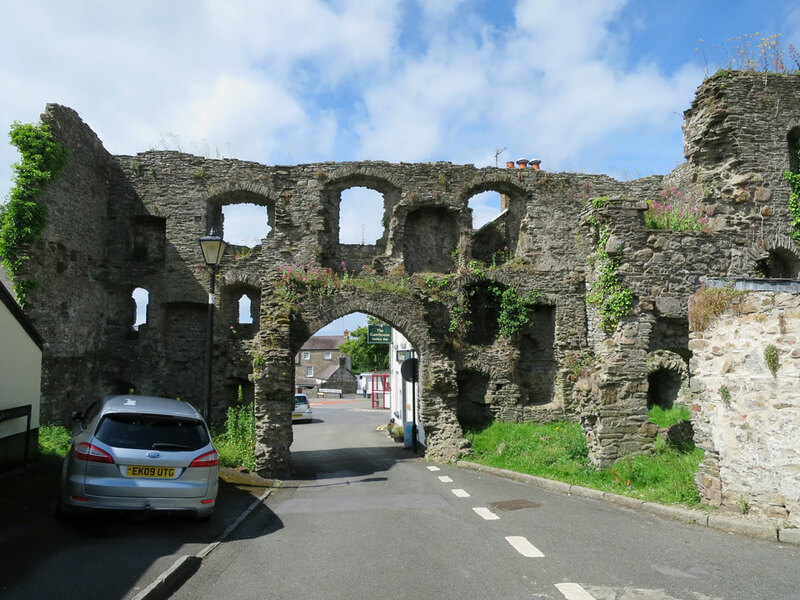 The main gateway at the end of Castle Street still remains. 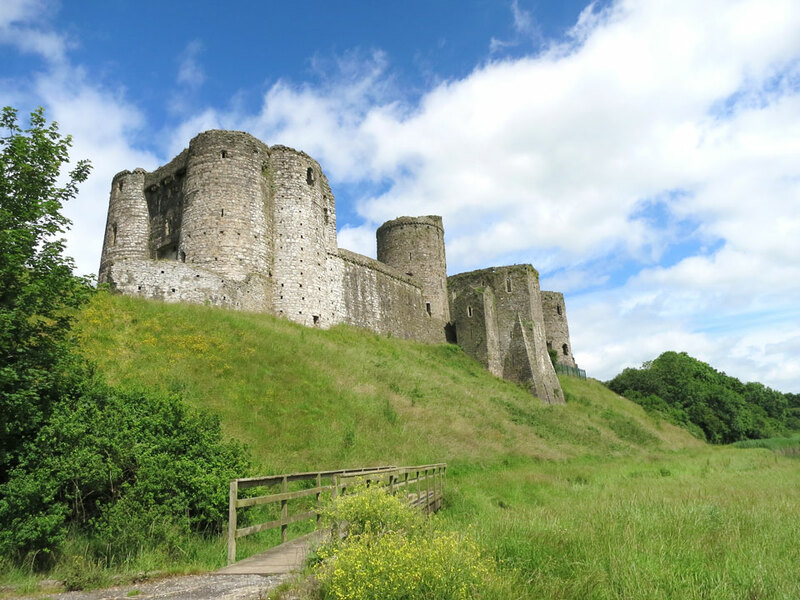 A484, 10 miles north of Llanelli.